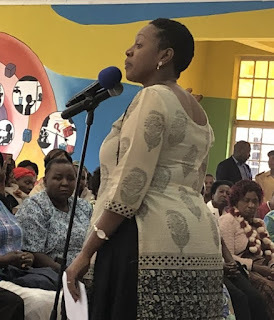 Wednesday, August 23, 2018 - There was some drama in Parliament when a section of male MPs complained over Sabina Chege’s inappropriate dressing. The beautiful Murang’a Women Rep who is a former video vixen was interrupted by Makueni MP, David Maanzo, when she rose up to speak in the chambers after he accused her of showing off her cleavage. “Is it really parliamentary” Maanzo posed.